Publisher's Blurb: The definitive military history of the Civil War, featuring the same exclusive images, tactical maps, and expert analysis commissioned by The United States Military Academy to teach the history of the art of war to West Point cadets. 1. The Origins Of The Civil War And The Contest For The Borderlands, Mark E. Neely Jr.
Slave Photo From Robert E. Lee's Home Discovered On Ebay, Fox News.coma and the Associated Press, October 12, 2014. National Park Service curator Kim Robinson holds the photo of Selina Gray, right, who was in charge to care for Arlington House where Gen. Robert E. Lee had lived in for 30 years, Thursday, Oct. 9, 2014, at Arlington National Cemetery in Arlington, Va. The National Park Service has acquired a rare Civil War-era photograph of an enslaved woman at Confederate Gen. Robert E. Lee's home in Virginia. The previously unknown photograph depicts Selina Gray, the head housekeeper to Lee and his family. The photograph was unveiled Thursday at Lee's Arlington House plantation overlooking the nation's capital. 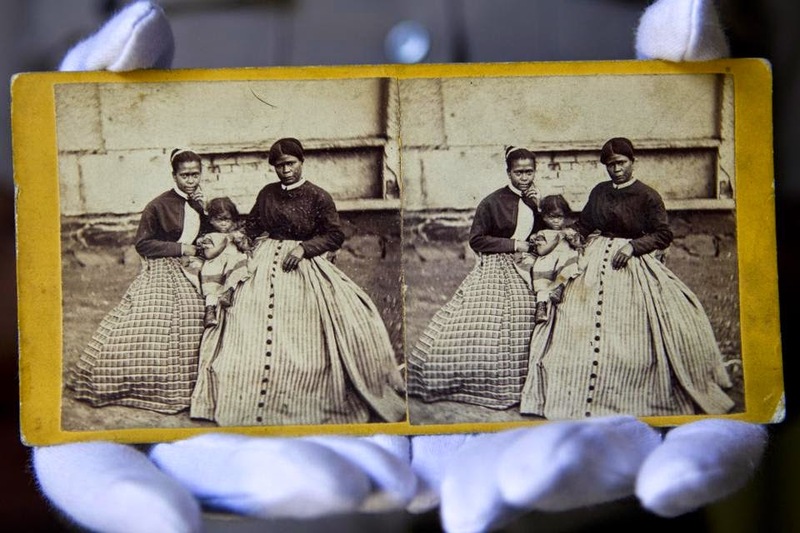 An “extremely rare” Civil War-era photograph of the enslaved woman who helped save Confederate Gen. Robert E. Lee's Virginia home has been obtained by the National Park Service after a volunteer spotted the image on eBay. The previously unknown photograph depicts Selina Gray, the head housekeeper to Lee and his family, along with two girls thought to be her daughters. The photograph was unveiled Thursday at the Arlington House plantation overlooking the nation's capital that was home to Lee and dozens of slaves before the Civil War. An inscription on the back of the image reads "Gen Lees Slaves Arlington Va."
Park officials said this is only the second known photograph taken of slaves at Arlington. "It's extremely rare to have an identified photo of an enslaved person," said National Park Service spokeswoman Jenny Anzelmo-Sarles. "Since slaves were considered property, it's very rare to have a photo where you can identify the people in the photo." WJLA eported Thursday that National Park Service volunteer Dean DeRosa spotted the photograph for sale on eBay for just $20. DeRosa told WJLA he recognized Gray “immediately.” “What I find so fascinating is how well dressed Selina and her daughters are in this photo,” he told the station. The nonprofit Save Arlington House Inc. donated $700 to acquire the image. The seller was based in England and found the photo in a box of unwanted images. Gray is noted in history books for helping to save Arlington House after Lee's family left and the plantation was captured by Union troops during the Civil War. Arlington House was originally built as a monument to George Washington. Lee's wife, Mary Custis Lee, entrusted the home to Gray, and she later confronted a Union general about soldiers pilfering Washington family heirlooms from the house. She was able to have the items safeguarded. 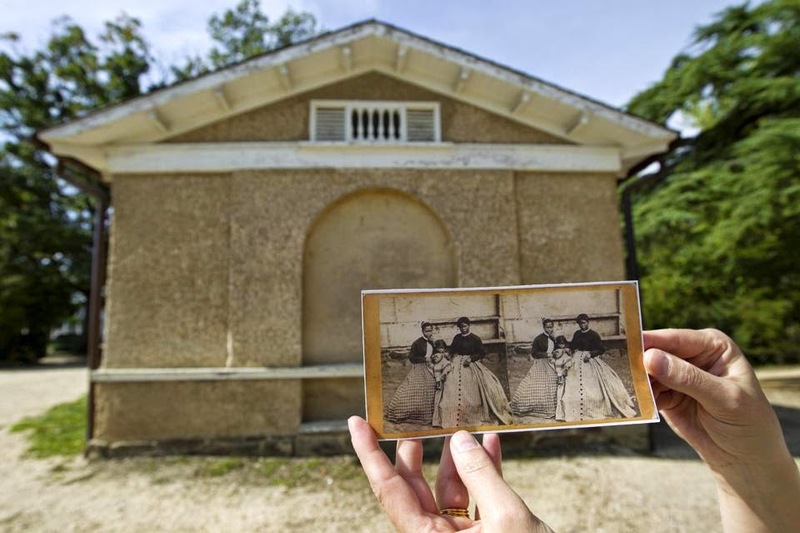 The photograph was unveiled to the public Saturday, and it will be used in future exhibits after Arlington House and its slave quarters are restored. CWL: Still in question is the date of the photograph and the lives of Selina Gray and her daughters. 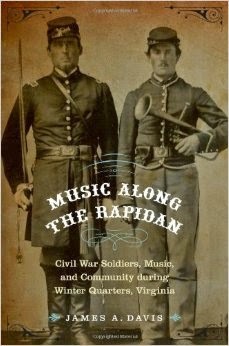 Music Along The Rapidan: Civil War Soldiers, Music and Community During Winter Quarters, Virginia, James A. Davis, University of Nebraska Press, 347 pp., 31 b/w illustration, bibliographic notes, bibliography, index, $45.00. 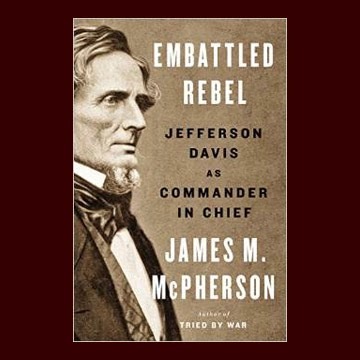 From The Publisher: In December 1863, Civil War soldiers took refuge from the dismal conditions of war and weather. They made their winter quarters in the Piedmont region of central Virginia: the Union’s Army of the Potomac in Culpeper County and the Confederacy’s Army of Northern Virginia in neighboring Orange County. For the next six months the opposing soldiers eyed each other warily across the Rapidan River. In Music Along the Rapidan James A. Davis examines the role of music in defining the social communities that emerged during this winter encampment. Music was an essential part of each soldier’s personal identity, and Davis considers how music became a means of controlling the acoustic and social cacophony of war that surrounded every soldier nearby. Music also became a touchstone for colliding communities during the encampment—the communities of enlisted men and officers or Northerners and Southerners on the one hand and the shared communities occupied by both soldier and civilian on the other. The music enabled them to define their relationships and their environment, emotionally, socially, and audibly. 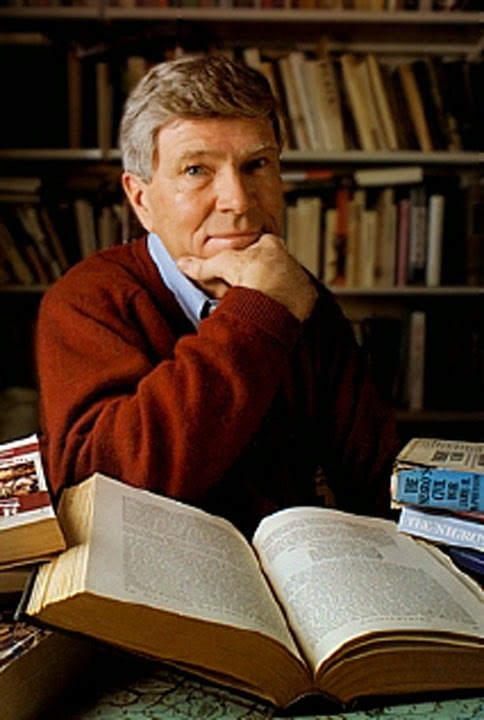 James A. Davis is a professor of musicology at the School of Music at the State University of New York at Fredonia. He is the author of Bully for the Band! The Civil War Letters and Diary of Four Brothers in the 10th Vermont Infantry Band and his articles have been published in numerous journals including Journal of Military History, American Music, and Nineteenth Century Studies. CWL: Davis introduces the book with material on music and communities during the Civil War era. Chapter One: Winter Quarters in Virginia, 1863-1864; Chapter 2: Music and the Community of Soldiers; Chapter 3: Music and the Military Community: Chapter 4 Military Balls and the Officer's Community; Chapter 5: Music and the Religious Community; Chapter 6: Brass Bands and the Intersection of Musical Communities. He concludes the book with a discussion of the impact of 1863-1863winter quarters on these communities of soldiers and the war itself. The illustrations are somewhat unique; they consist of soldiers with their instruments and the building and tents were the music was performed. The index reveals that the most frequently discussed topics are: brass bands, civilians, communities and audiences, military camps as homes, the various types of music and lyrics performed and the relationships that are revealed; and women. The troops of Pennsylvania, New York, Massachusetts and Virginia are frequently used as examples. At the price of $45, readers may wish to request the book through a local library, either for its addition to the collection or borrowing it through inter-library loan. Of course, libraries accept donations to purchase particular items and donors are often the first borrowers.